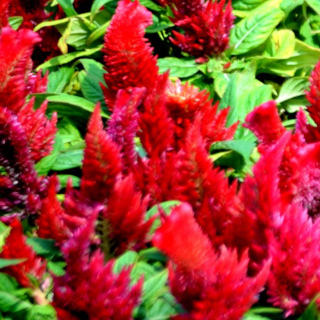 Forest Fire Celosia is an annual that produces upright plumes of burgundy-coloured feathery flower bracts that resemble a forest ablaze. The foliage turns purple as it ages. Grows to about 80cm tall. 350 seeds per packet.